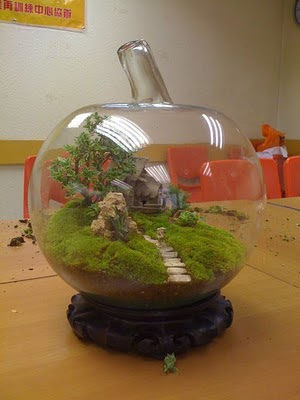 An apple terrarium a day could certainly be accomplished with this miniature dream, spotted at tonylaw.com. Love it. Core product (groan). This is incredible!! I agree to the "hobbyists assembling model ships inside wine bottles" part, not to say that this is the coolest thing I have seen in a while!